A small center in the province of Savona, located in the valley of the river Neva, that features a medieval complex with a castle situated at the top of the hill, built inside a triangular shaped perimeter fortified wall. The main high street, that used to be narrow, has been opened by long arcades, edified to expand the space, creating extremely suggestive glimpses of green. On this road, which cuts longitudinally the town of Zuccarello, face the most important buildings of the XIII and XIV centuries and features a few steep, narrow streets that lead up to the castle. Particularly valuable is the humpback bridge which dates back to the medieval times. The town was founded on April 04th 1248 by the Marquis of Clavesana and because of its position it was often the subject of contention. It was built by its local inhabitants between Christmas 1248 and Christmas the following year. From an ancient document, the historians have discovered that there was an unusual agreement, in which the inhabitants were obliged to complete their houses by this date, otherwise they would have had to consider the payment of a fine based on their ages or the complete confiscation of their properties. 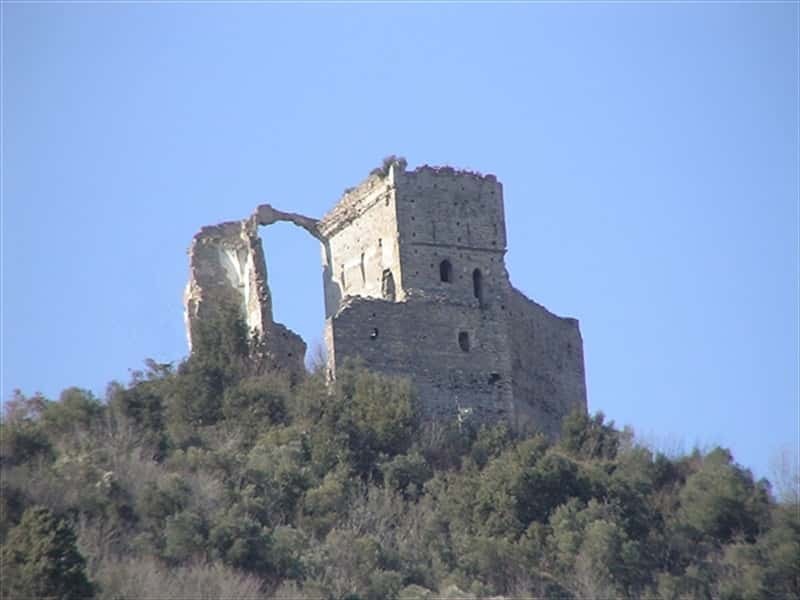 Between 1326 and 1335 the town was submitted to the family of Del Carretto and till 1397 it was the seat of local marquisate and ruled over the nearby villages and castles. In 1567 one third of the fief and in addition the right of first refusal was ceded to the Republic of Genoa, whilst another third was sold to the Savoy. The discontent of the inhabitants brought to a civil war, known as the war of the salt, which ended with the "victory" of the Genoese, that took over the whole possession. In the XVIII, during the Austrian war, the village was defended by the Genoese against attacks from the Piedmont troups and by the end of the century it was a stronghold of the French. The castle, built in 1200 by the Del Carretto as their stronghold, is located in a prominent position and controls over Val Neva, now in ruins. There are remains only of the outer structure, a square tower and some windows in the Gothic style. It was restored several times, among the last efforts ordered in the late XVIII century by General Massena of the troops of Napoleon. The medieval Parish Church rebuilt in the XVII century. The bell tower still retains its original appearance. The Path of Ilaria that joins Zuccarello to Castelvecchio di Rocca Barbena. The route, three kilometers long, is a proposed itinerary in the Cultural Park of the Riviera Ligure delle Palme. La Casa del Molino that features a façade with late medieval elements and decorations. The Civic Theater Quinzio Delfino. The gates of Molino, Soprana and Piemonte and the medieval tower, Porta Interiore, Porta del Ponte, Porta sul torrente Neva, Porta Sottana and Porta del Morto. The Marchionale palace in the historic center which presents numerous frescoes. Here was stipulated in 1459 a historic agreement between the representative of the Kingdom of France and the Republic of Genoa and the Marquis del Carretto to put an end to hostilities between Genoa and the Marquis of Finale. The Oratory of Santa Maria Nascente and San Carlo, built between the XVII and XVIII centuries, and inside it preserves a crucifix of the XV century. The Chapel of Saint Anthony Abbot with late medieval frescoes. The Church of San Bartolomeo, built in the XIII century . This town web page has been visited 12,774 times.